Nice. 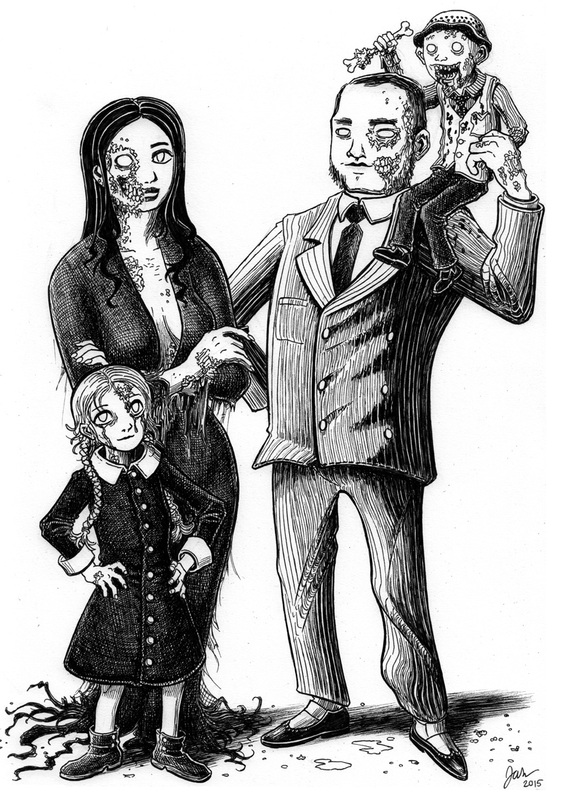 An update “The Addams Family” corpse-litch-zombie style. Lurch, Grand mama, Uncle Fester and Thing to go. Could even add Cousin Itt, Kitty cat and Cleopatra the man-eating African Strangler! But I am greedy. Thanx for Morticia, Gomez, Pugsley (very thin) and a blond Wednesday. I love the idea.